We keep a varied selection of rigid insulation. 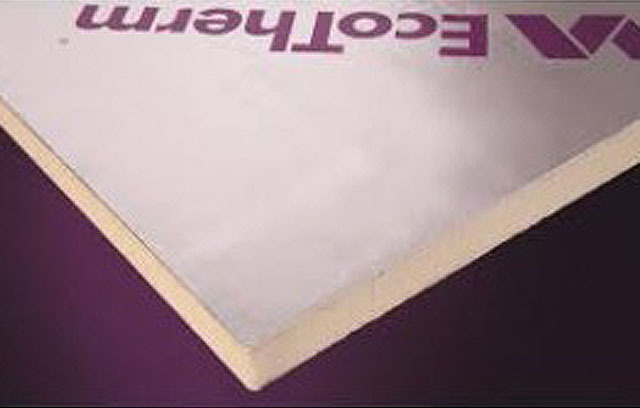 We order in different brands such as Celotex, Kingspan, Ecotherm and Enertherm, depending on the customers application and what is specified on the drawings. Ecotherm Website click this link and will help make sure you select the correct product and u-values. This is made from polyisocyanurate which is the blending together of materials to form a rigid foam product. We keep in stock, 25mm, 30mm, 40mm, 50mm, 70mm and 100mm. we can order in other thicknesses which take a couple of days to arrive to our yard. There are various uses, which means different boards are used for the different applications, either in the floor, walls and roofs.